As an employer, you are obliged by law, to provide Maternity Leave to your employees in line with employment legislation. If you don’t manage the process correctly you could be leaving yourself and your business exposed to potential disputes. 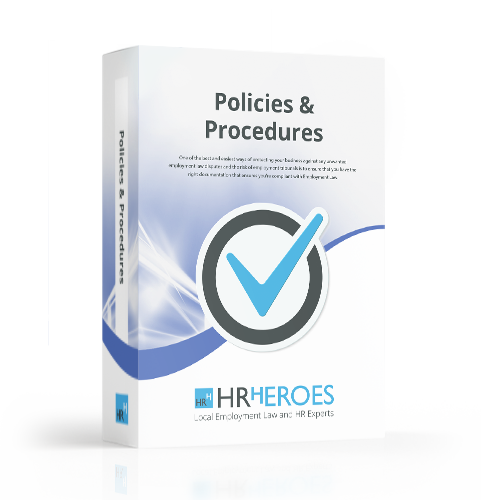 HR Heroes Employee Maternity Leave Package consists of all the letter templates, checklists and forms you will need to ensure you are compliant with the law governing Maternity Leave. The Employee Maternity Package is easy to use and will allow your business to take a fair, consistent approach handling Maternity Leave both before and after childbirth.